40 piece tray jigsaw puzzle can be customised from both sides – front and back, which means you can upload two different designs. This post card sized jigsaw puzzle features small puzzle pieces which makes the puzzle solving a challenge! 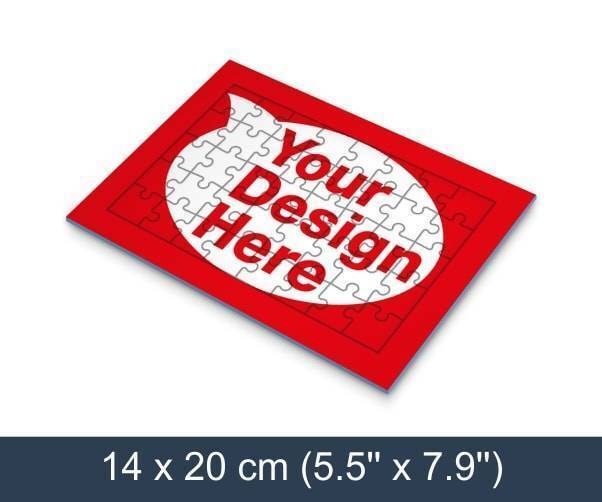 Pocked sized jigsaw puzzle is great as a little souvenir that you customers can take with them. Tray jigsaw puzzles are ready for distribution as soon as you receive them as each one is individually shrink wrapped in pvc foil!